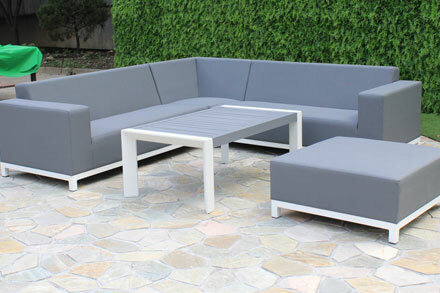 Hangzhou Creative Living Co., Ltd or Hangzhou HaiLiang Furniture Co., Ltd is an experienced outdoor furniture manufacturer who based in Hangzhou, China. 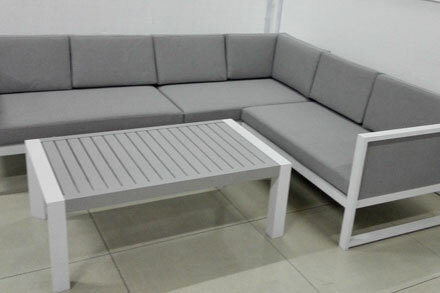 We started to provide outdoor furniture in big amount to European and USA market since 14 years ago. We possess of 100 thousand square meter workplace and storage within our factory, in which we can keep more than 600 containers. And for last year, we have accomplished orders having a worth of 50 million US dollars. We have 1500 workers in our furniture factory and strong Research and Develop personals as well as systematic Quality control. 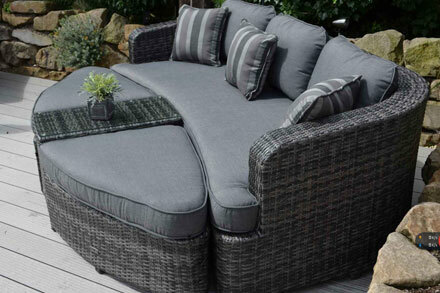 Seattle daybed, Half Round Brown weave with Beige cushions, Half Round Grey weave with Charcoal cushions, All-weather resin wicker, powder-coated aluminum frame, W 200 x D 170 x H 132 cm. 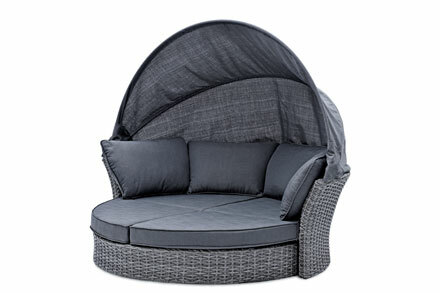 Set up as a luxurious lounger or chic conversation set, All-weather wicker stands up to the elements, Olefin fabric that is durable and easy to clean. white frame with grey high density textilene, filling quick dry foam. alum tube frame in powder coating finish, textilene fabric curtain.